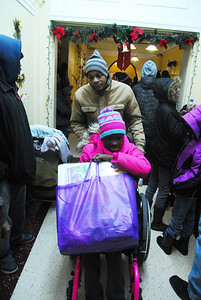 Children in Chicago smile and hold gifts, courtesy of the CHIP Program through Life Builders United. 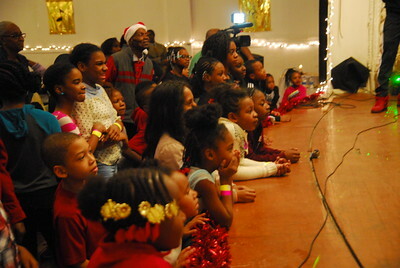 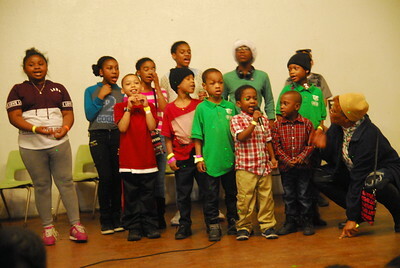 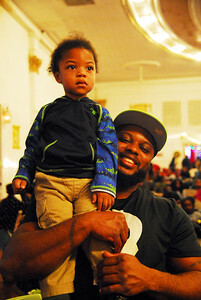 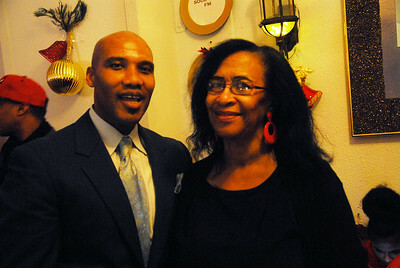 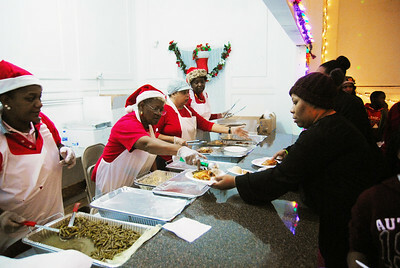 The program was held Dec. 23 at Old Masonic Hall and over 400 children received free gifts and food. 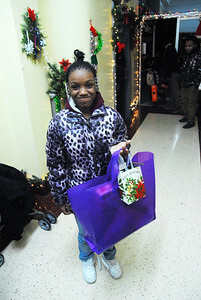 Young sister smiles with her present. 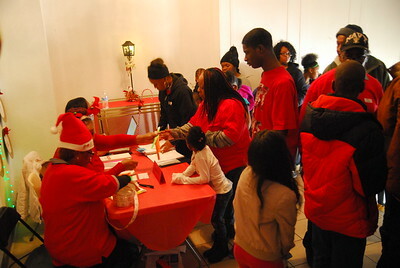 The gift giveaway is in its fourth year. 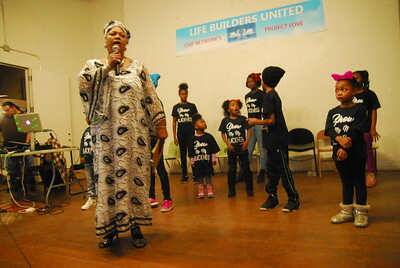 Tyrone Muhammad, an activist and motivational speaker, and Geraldine Smith, of Life Builders United joined efforts with other local organizations to make the event a success and enjoyable for all who attended. 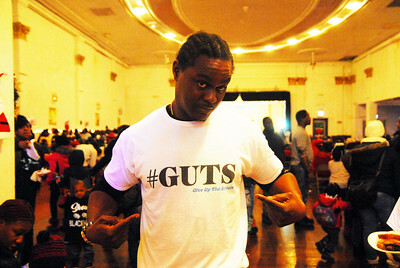 Earl Walker, founder of GUTS (Giving Up The Streets), mentors young Black men. 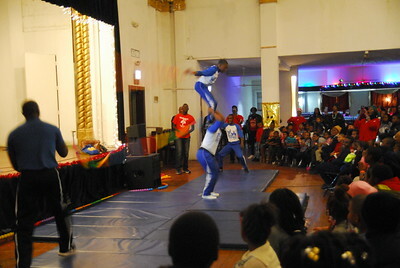 Acrobatic and tumbling team performs for crowd. 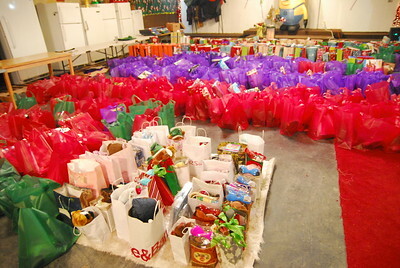 Over 400 children received gifts. 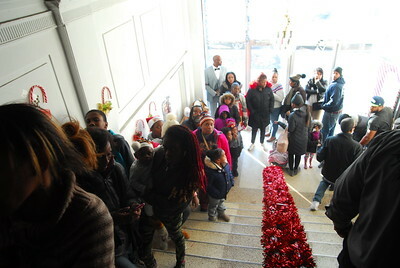 People line up to enter Old Masonic Hall for program that serves families that have been affected by incarceration. 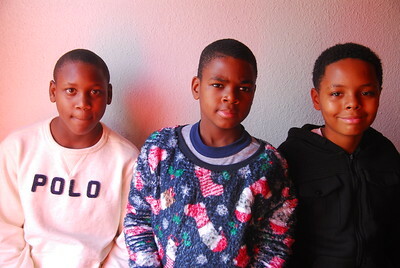 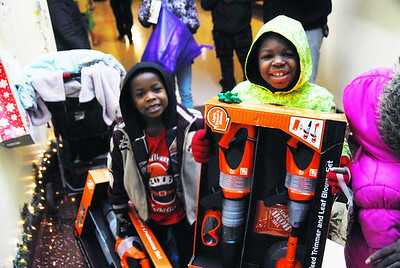 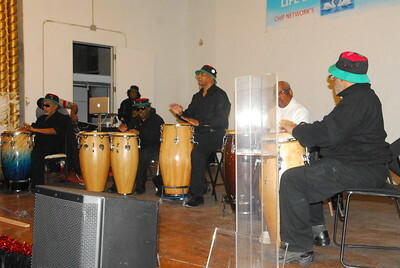 Young men attended the Englewood gift giveaway and program held Dec. 23.